Kitchen cabinets and other built-ins are among the priciest items in a home’s interior, but they play a major role in the overall look and everyday livability for homeowners. A perfect example is this custom home in Truckee, Calif. Designed by Bridgehampton, N.Y.-based Blaze Makoid Architecture and located in the private community of Martis Camp, the 6,379-square-foot luxury home offers sweeping views of a meadow and surrounding mountain ranges, with seamless indoor/outdoor living and warm, modern interiors. 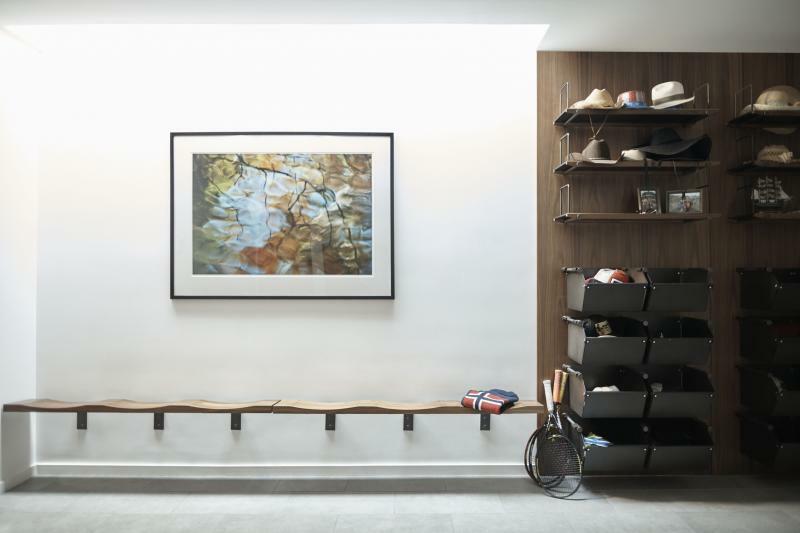 The developer sought storage that solved typical homeowner needs in clever ways, but the installations also had to be flexible and attractive. “The home is a high-value spec home, so the developer wanted storage solutions that would elevate the property, making it even more desirable to potential buyers,” according to Blaze Makoid. 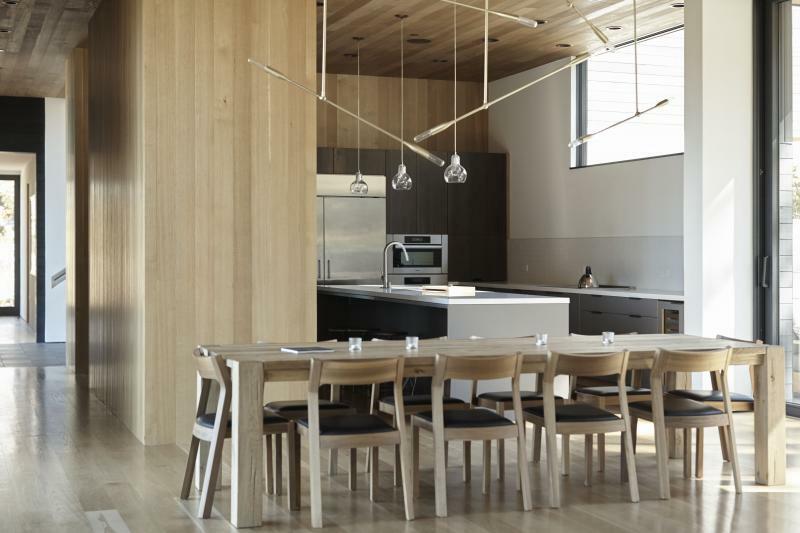 Enter Seattle-based Henrybuilt, a high-end kitchen/millwork brand founded in 2001. For this home, Henrybuilt designed and built the kitchen, bar, bath vanities, wardrobe, and the open-case storage system that’s located in the lower entry space. “We gave input on the layout, designed the specific systems for each room, and advised on appliances,” says Julianna Morais, Henrybuilt’s vice president of design. For the kitchen, Henrybuilt used a mix of plank-matched walnut veneers and gray high-pressure laminate, while the wardrobe, vanities, and open-case installation throughout the house are made from plank-matched walnut and feature Henrybuilt-designedpulls in bronze powder-coated stainless steel. The company also fabricated custom elements throughout the home, such as a valet in the wardrobe system and open-case storage in the entry. Henrybuilt says the built-ins and the kitchen blend with the house but also strengthen the overall design. The millwork company designs elements in 1/8-inch increments and offers a wide variety of options, including 20 tones of oak, walnut, and ash and a wide range of high-pressure laminate colors. It also offers a pigmented polyurethane that can be matched to any paint chip. ARCHITECT / Blaze Makoid Architecture, Bridgehampton, N.Y.
GENERAL CONTRACTOR / Jim Morrison Construction, Tahoe City, Calif. This story originally appeared in the September/October version of PRODUCTS magazine. See the print version here. In the second image, the lights faced in the dining section. What's the name of that kind of light?